Days after B passed, my family and friends would continuously see dragonflies in our front yard. These small, winged creatures would constantly fly over the lawn nearest our porch, where the children would usually play. Similarly, each time we would visit B at the cemetery, a dragonfly would suddenly appear. We have come to believe that the dragonflies are B’s way of visiting us. Thus, we have come to adorn many things with dragonflies, to remind us of B. T would look for dragonflies everywhere, just to get a feel for his brother. To honor B on holidays, the three of us now each paint a wooden dragonfly. 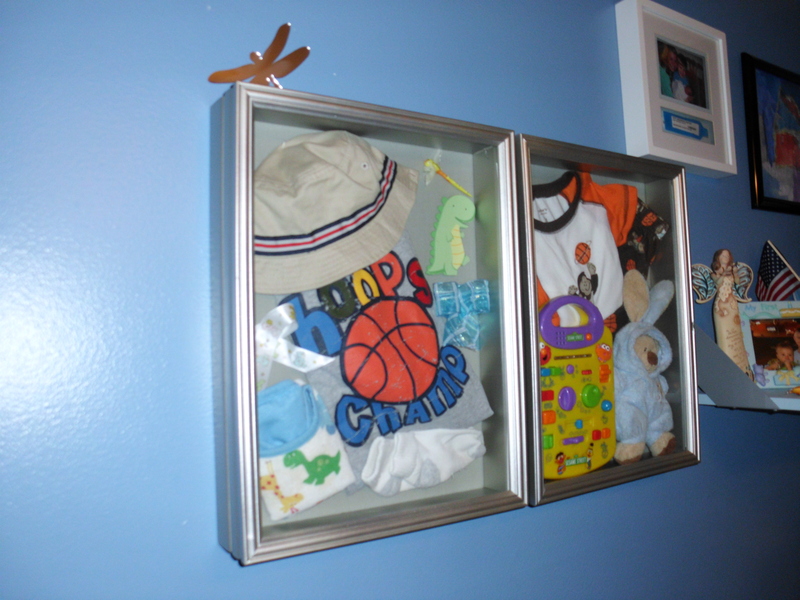 My husband thought the craft would be a nice activity to do as a family, usually each holiday morning or night. 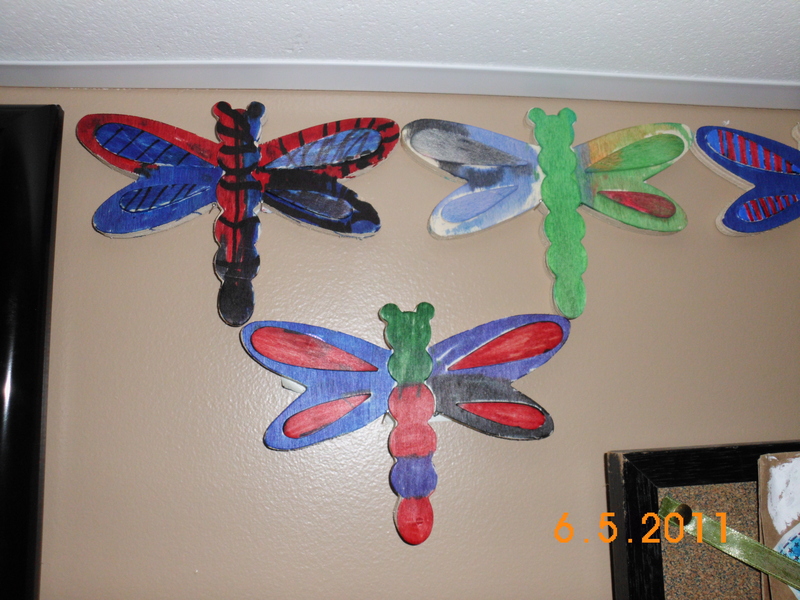 The wooden dragonflies are being placed along our basement wall, making beautiful, authentic decor.